Click on the jackal to learn about our logo. Featuring the controversial KV 55 mummy. Now with a revised reconstruction of ancient events in this perplexing tomb. Featuring the mummies of Tutankhamen and his children. Still in preparation. 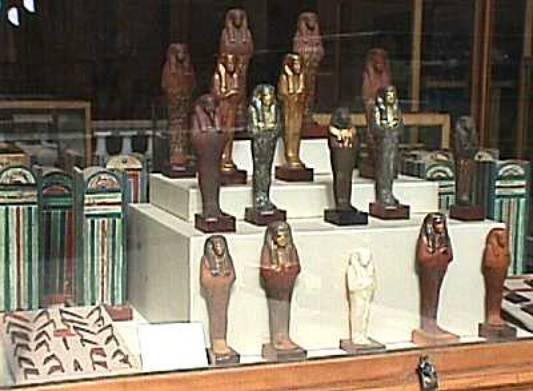 Including the mummy which some experts believe may be that of Nefertiti. 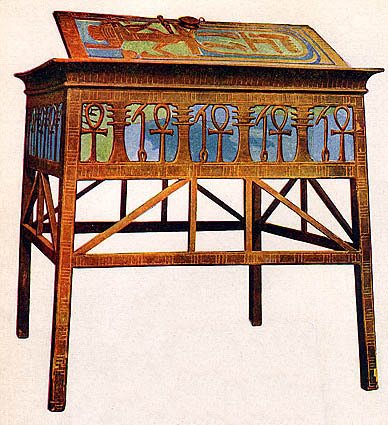 See what's new at the T. R. M. P.
View the funerary equipment of Queen Tiye's parents! Tomb Raiders of KV 46! How thorough were the robbers who plundered the tomb of Yuya and Tuyu? How many times was the tomb robbed, and what were the thieves after? This study of post interment activity in KV 46 provides some answers. Follow the trail of the missing treasures from mysterious KV 55. KV 55's Lost Objects: Where Are They Today? See rare photographic plates of a great discovery from Daressy's Fouilles de la Vallee des Rois. Learn about Victor Loret's important discovery of this nearly intact tomb in the Valley of the Kings. Who were the real tomb raiders? What beliefs motivated their actions? A new perspective on the ancient practice of tomb robbing! Read Pierre Loti's eerie account of his nocturnal visit to the Egyptian Museum's Hall of Mummies. 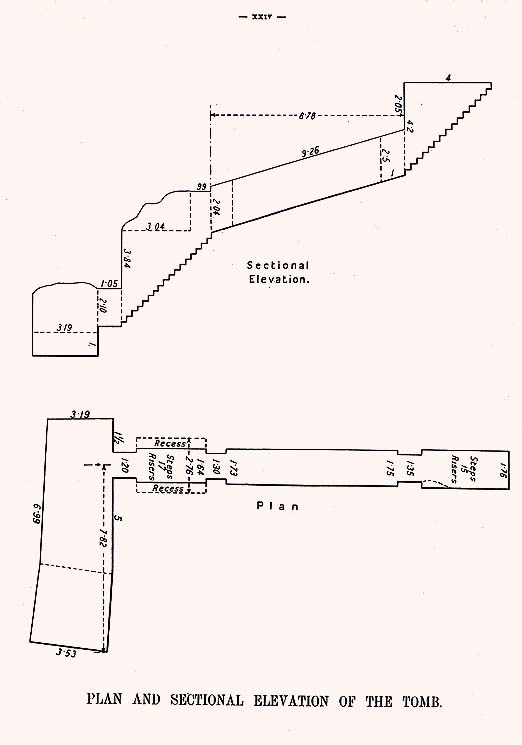 An Audience With Amenophis II Journey once more with Pierre Loti as he explores the shadowy chambers of KV 35 in the early 1900's. Most of the images on this website have been scanned from books, all of which are given explicit credit and, wherever possible, a link to a dealer where they may be purchased. Some images derive from other websites. These websites are also acknowledged in writing and by being given a link, either to the page or file where the images appear, or to the main page of the source website. Images forwarded to me by individuals who do not supply the original image source are credited to the sender. All written material deriving from other sources is explicitly credited to its author. Feel free to use material from the Theban Royal Mummy Project website. No prior written permission is required. Just please follow the same guidelines which I employ when using the works of other researchers, and give the Theban Royal Mummy Project proper credit on your own papers, articles, or web pages. This website is constantly developing and contributions of data from other researchers are welcomed. 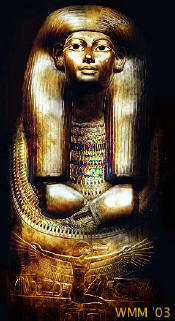 William Max Miller, M. A.
Amenhotep III, which emphatically proclaims the names of her parents. 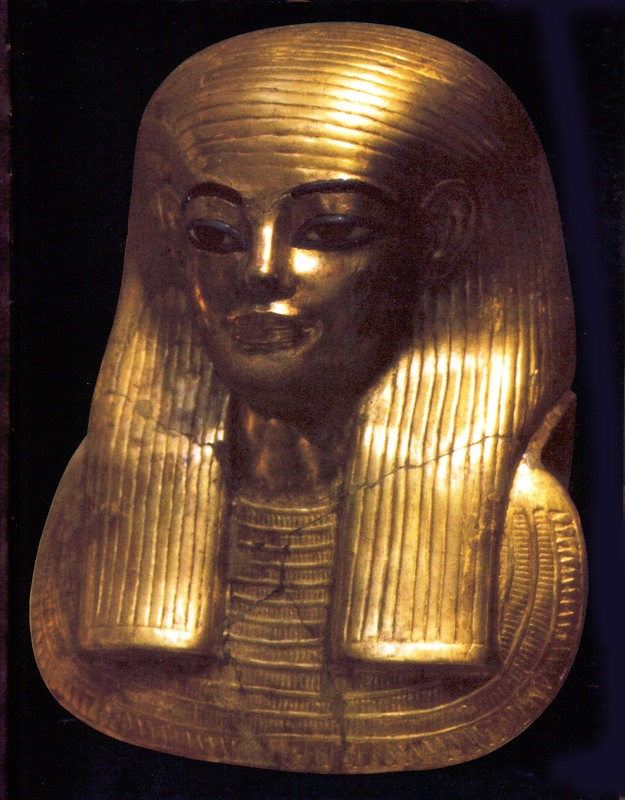 Before the discovery of Tutankhamen's opulent treasures, the tomb of Yuya and Tuyu was one of the most important burials to be found in the Valley of the Kings. 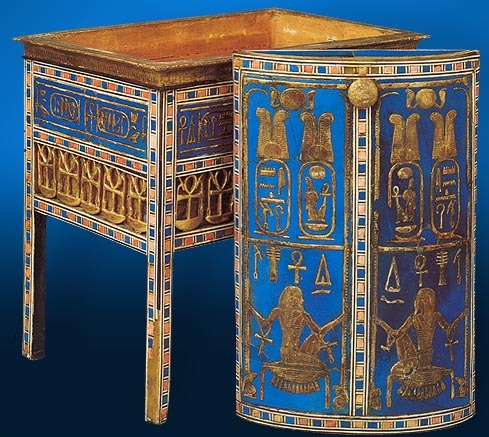 Discovered on February 5'th, 1905, by James Quibell and Theodore M. Davis, the tomb (designated KV 46) contained one of the most complete and beautifully made sets of funerary equipment then known. Located between the tomb of Ramesses XI (KV 4) and a tomb from the time of Ramesses III (KV 3), KV 46 provides a good example of a single-chambered staircase tomb architecturally similar to other non-royal tombs found in the Valley (see diagram , showing the tomb's architectural plan, from Davis's The Tomb of Iouiya and Touiyou [London, 1907,] 24.) Dating from the 18'th Dynasty, it contained the burials of Yuya and Tuyu, the parents of Queen Tiye, and its many intact objects give an idea of how a high-status burial from the time of Amenhotep III was provisioned. High-status the burial undoubtedly was. Yuya and his wife Tuyu were no mere "commoners," elevated to a lofty social position solely by their daughter's royal marriage, as earlier commentators believed, but were probably individuals who had exerted immense political influence during the reigns of Amenhotep III and his father, Tuthmosis IV. The scarabs issued to commemorate the marriage of Amenhotep III to Tiye name her parents prominently in an unprecedented fashion, as though intentionally stressing the royal alliance with this Akhmim-based family. C. N. Reeves argues that the naming of Yuya and Tuyu on the marriage scarabs, which were most likely issued during Amenhotep III'rds second reignal year (when he was still a boy) indicates that the royal in-laws already exerted considerable political clout prior to their daughter's marriage, and may even have functioned as "powers behind the throne" during their youthful son-in-law's early years of rule. The many impressive titles of Yuya and Tuyu (including “God’s Father," “His Majesty’s Lieutenant Commander of Chariotry," “Master of the Horse," “Priest of Min," "Overseer of the cattle of Min, Lord of Akhmim" for Yuya and “King’s Mother of the Great Royal Wife, “Chief of the Harem of Min," “Priestess of Amen," “Chief of the Harem of Amen," and “Chantress of Hathor," for Tuyu) as well as their sumptuous burial in the Royal Valley, support this opinion. 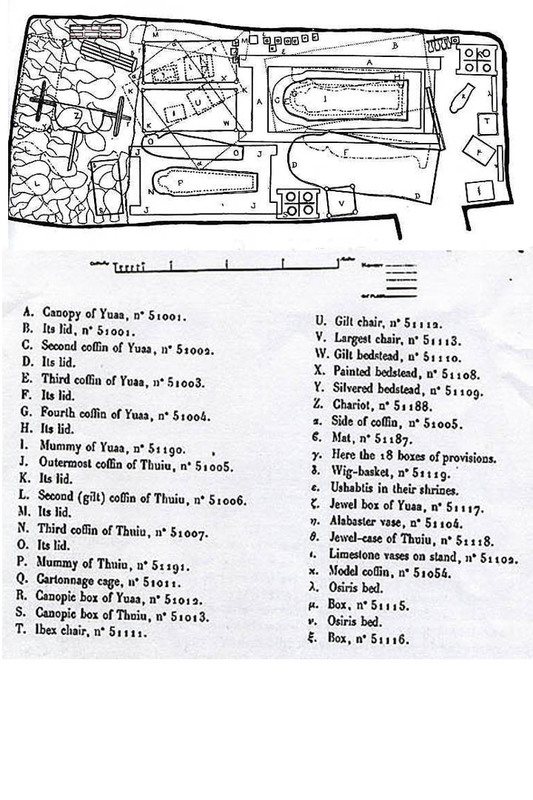 Although their tomb had been robbed of its portable metallic objects and expensive linens in antiquity, most of the major funerary furnishings of Yuya and Tuyu remained intact (see diagram # 2, reprinted in DRN, 150, showing positions of objects in the tomb.) Davis, Quibell, Weigall, and Maspero (all of whom participated in the clearance of KV 46) theorized that the tomb had only been entered by thieves once, but Reeves discerns evidence for three separate intrusions. He believes that KV 46 had probably been first plundered soon after the burials of Yuya and Tuyu, and bases this view on the absence of precious oils from the tomb's remaining contents. The valuable oils so highly prized by the Egyptians did not keep long, and would only have been stolen while they were still fresh. Reeves dates two other possible robberies of KV 46 to the 20'th Dynasty, when gangs working on KV 3 and KV 4 had ample opportunity to enter and loot the smaller burial located so closely nearby. 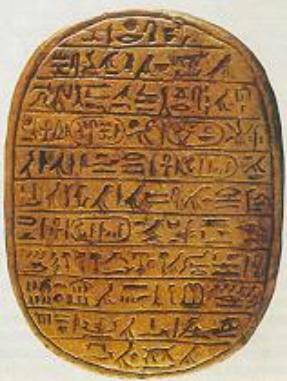 The inclusion by Quibell of two seal impressions bearing the names of Ramesses III (CG 51179-80) in his catalogue of objects associated with the burial would seem to pin-point the time of at least some type of post-interment activity to the reign of that king. However, Quibell did not take these seals into account when formulating his chronology of illicit activity in KV 46, and Elizabeth Thomas, who mentions only one of these seals in her work, considered it to be intrusive and irrelevant to the reconstruction of the tomb's pillaging. She indicates that this seal may even have been found in the filling above the entrance stairway, or in the filling of the stairway itself. Even if the seals cannot be used to date one of the alleged robberies, the fact that KV 46 was found covered by a layer of chippings from KV 3 and KV 4 proves that it could have been robbed no later than the 20'th Dynasty. For a detailed analysis of post interment activity in KV 46, click here or on the link below. Theodore M. Davis published an account of the discovery of KV 46, including photographic plates of the objects with descriptions written by Percy E. Newberry. The Tomb of Iouiya and Touiyou was his only official publication of the tomb, and lacks the kind of detail required by today's more scientific Egyptologists. However, this work possesses a charm all its own, with its outdated spellings and colorful assumptions helping to convey the romantic ambience of Egyptology during the Gilded Age. You can read the complete version of his report by clicking on the link below. Also, read Arthur Weigall's version of events at this tomb from his book, The Glory of the Pharaohs ([London, 1923,] 127-130.) Weigall adds color to the dry facts recounted by Davis. 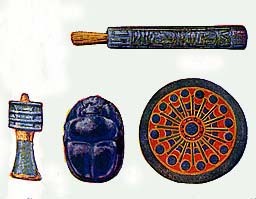 Below are images of some of the objects discovered in the tomb. Commentary in quotation marks comes from Percy E. Newberry's descriptions printed by Theodore M. Davis in The Tomb of Iouiya and Touiyou. For a bibliography of relevant publications used in preparing this online exhibit, go to the end of the page. Any online sources of images are acknowledged by link in the photo credit caption accompanying the images. 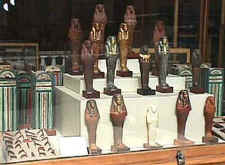 References to deities on this page link to the Egyptian Mythology section of the Encyclopedia Mythica website. 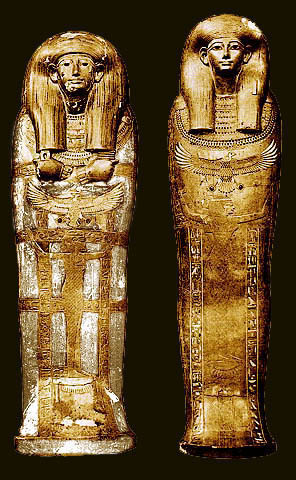 Further detailed information on the mummies of Yuya and Tuyu in our XVIII'th Dynasty Gallery III may be viewed by clicking the links for their mummies given below. by William Max Miller, M. A.
of the burial chamber as it was first discovered. "The sarcophagus is made of coarse grained wood covered with pitch and decorated with figures and hieroglyphic legends in stucco gilt. In shape the sarcophagus is rectangular with a projecting curved cornice around the tip; its lid is rounded on either side of a flat beam running down the axle, and has massive uprights at each end. The joints are mortice- and tenon-pinned, and the roller is dovetailed into the frame of the sledge." --Percy E. Newberry, The Tomb of Iouiya and Touiyou. Although designed to look like a sledge, this impressive wooden sarcophagus actually had no bottom, and the nested set of coffins which it contained rested directly on the floor of the tomb in which it had been constructed. 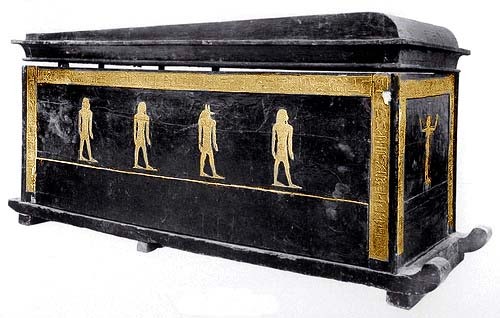 Noting that the black pitch coating in some places had smeared over the gilding, Quibell believed that it had probably been applied to the sarcophagus in the tomb itself. The decorative scheme resembles that used on 18'th Dynasty "black" style coffins: figures of Isis and Nephthys, with upraised arms, kneel upon nub-signs at the head and foot ends respectively, and figures of protective deities adorn the sides. 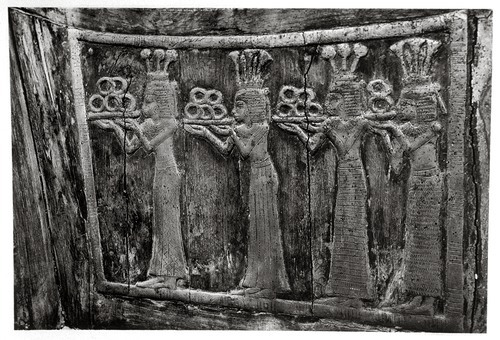 The five deities on the sides of this particular sarcophagus, however, are not the traditional Four Sons of Horus. Here, two end figures of Thoth, each bearing a standard, face each other, while two jackal-headed figures (Anubis? Wepwawet? Duamutef?) and a human-headed figure (Imseti?) stand between them. 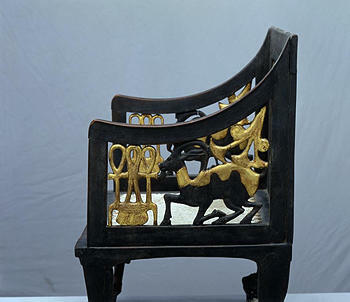 The end boards of the lid are decorated with gilded figures of the recumbent Anubis, and the lid itself adopts the form used by the per-nu shrine of Lower Egypt. When it was discovered by the excavators, the lid of this massive sarcophagus was slightly out of alignment. It had been removed by thieves at some point in order to reach Yuya's mummy, and the ancient necropolis officials who restored the tomb replaced it at a crooked angle. The damage to the side panel visible in the photograph may have occurred when the heavy lids of Yuya's outer and second coffins were removed by thieves and thrown against it. "The outer coffin is mummiform in shape, and, like the sarcophagus, is covered with pitch and ornamented with inscriptions and designs in stucco-gilt. The face and hands are gilt; the wig is long and the hair is represented by stripes of alternate black and gold. The eyes and eyebrows are inlaid; the eyebrows and lashes are of dark blue glass, the iris of black obsidian and the white of white marble. Around the neck and upper part of the chest is a broad necklace in gold, and on the wrists are bracelets. Upon the abdomen is a vulture with outspread wings and holding the [shen] rings in its talons..."
--Percy E. Newberry, The Tomb of Iouiya and Touiyou. 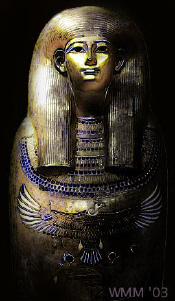 The outermost coffin of Yuya provides a classic example of the 18'th Dynasty "black" style coffin, which Ikram and Dodson note came into vogue during the reign of Hatshepsut and remained popular until the time of Ramesses II. 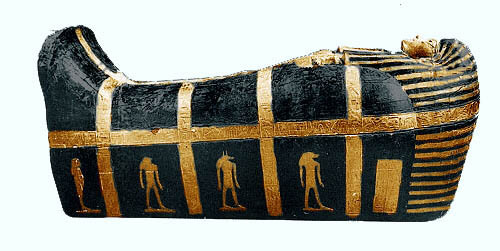 The coffin is Osiriform, and decorated to resemble a wrapped mummy. Hands, face, inscriptional banding, parts of the wig, and figures of protective deities are all gilded. The non-gilded portions are coated with black pitch, which probably held a symbolic significance because the color black was associated with fertility and rebirth (due to the deposit of rich black silt left by the annual Nile inundation in which the new seed was sown.) 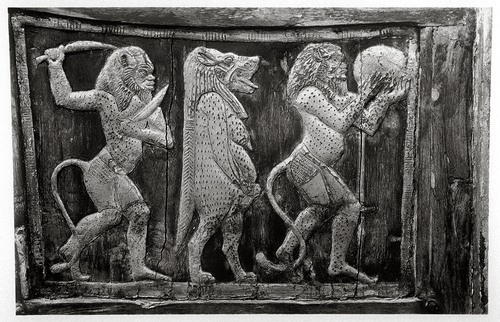 The deities adorning the sides of the coffin are the traditional Four Sons of Horus: (starting at the foot end) the human-headed Imesti; falcon-headed Qebsennuef; jackal-headed Duamutef; and ape-headed Hapi. 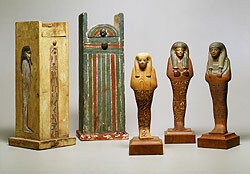 These deities also figure prominently in the decorative scheme used for canopic sets, and stand guard over (respectively) the mummified liver, intestines, stomach, and lungs. Tomb robbers had removed the huge lid of this coffin, and it was found on the floor against the side panel of the sarcophagus. "The second coffin...is of wood, coated with stucco and gold- and silver foil, and richly inlaid with glass of various colors. The wig is long and the hair is represented by alternate bands of silver and gold. The hands are of gold foil and project from the [stylized] mummy wrappings. In the right hand is a [djed] amulet; in the left an [Isis Knot. 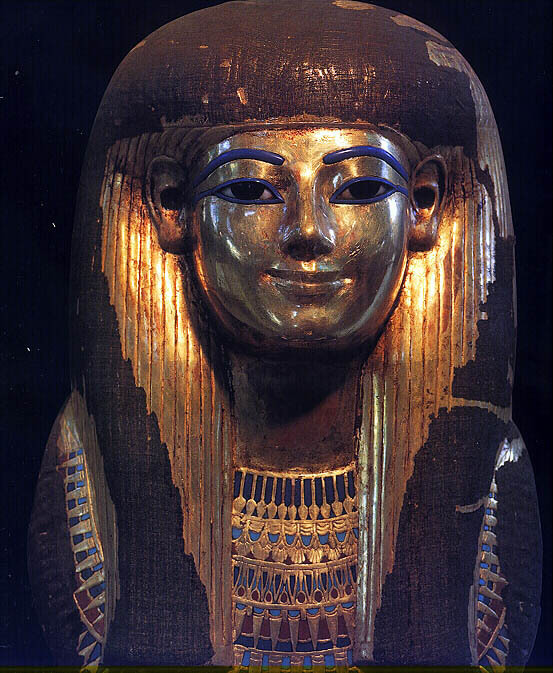 ]...The third or inner [coffin]...is carved in wood, coated with stucco and gilt, and richly inlaid with semi-precious stones and coloured glass...the face and ears are exquisitely modeled. Covering the lower part of the abdomen and legs as far as the shins, is a standing figure of the goddess Nut in low relief, with arms upraised...She stands upon a nub sign..."--Percy E. Newberry, The Tomb of Iouiya and Touiyou. 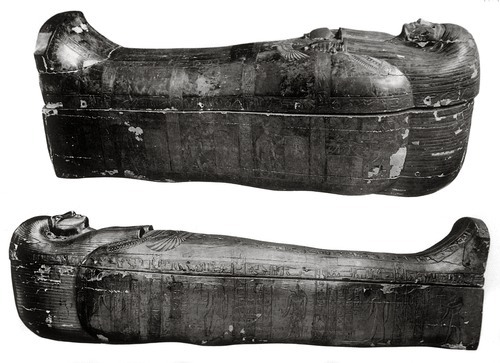 The second coffin of Yuya (on left in color photo) follows the usual pattern of the 18'th Dynasty "black" style coffins, but employs silver foil instead of black pitch to fill in the open spaces left by the traditional gold-leaf decoration. This is an unusual feature, and once more provides an indication of the power and wealth to which Yuya had attained. A metal much more expensive and highly prized by the ancient Egyptians than even gold, silver could only be afforded by someone of extremely high status. The decorative symbolism is wholly traditional: the hands hold djed and tet amulets (symbolizing Osiris and Isis, respectively); a vulture representing Nekhbet (for Upper Egypt) and holding shen (eternity) signs in its talons appears immediately below the hands; and, below this, the sky goddess Nut, with upraised arms, kneels upon a nub-sign. On the lid of the foot-end of the coffin (not visible in the photo) appears the goddess Isis in her traditional position in funerary iconography. Her arms are upraised and she, too, kneels on a nub-sign. Yuya's innermost coffin (on right in color photo) follows the same basic decorative scheme as his second coffin. However, this coffin is entirely gilded, and (somewhat unusually) lacks hands. 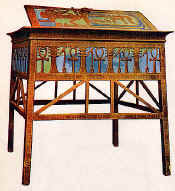 In The Tomb of Iouiya and Touiyou ([London, 1907], 9) Newberry states his belief that this coffin was not originally made for Yuya. He observed indications that the name of an earlier owner had been removed from inscriptions on the sides of the coffin and replaced with the name(s) of Yuya. Lending weight to this view is the fact that the facial features of the portrait masks on the two coffins differ significantly. The lids of both coffins had been removed by thieves. The second coffin's lid rested on top of the outer coffin lid on the floor against the wooden sarcophagus. 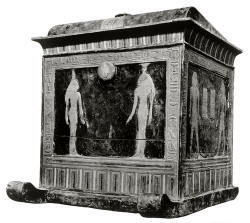 The inner coffin's lid perched on its side on the rims of the three coffin basins inside the sarcophagus. Photo Credits: Top photo from private collection. Probably color-tinted composite of photos from Davis's The Tomb of Iouiya and Touiyou (London, 1907.) 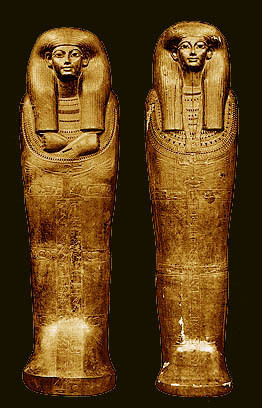 Inset photo showing 2'nd and inner coffins from James Edward Quibell's The Tomb of Yuaa and Thuiu. Catalogue Général du Musée du Caire 51001-51191 (Cairo: IFAO, 1908), pl. III. Painting at right showing close-up of Yuya's inner coffin by William Max Miller, copyright 2003. Painting is based on photo from Quibell's The Tomb of Yuaa and Thuiu, pl. V. Detail at left showing face of Yuya's inner coffin from Paul Johnson's The Civilization of Ancient Egypt (HarperCollins Publishers, 1999) cover photo. "[Yuya's mummy mask] is made of several layers of coarse linen, glued together and coated with plaster. The inside is bitumened, the exterior is gilt. The wig is long, lined, and with bands at the ends. The face is finally modeled. The eyes, eyebrows and eye lashes are inlaid: the eyes are of white marble and obsidian, the eyelashes and brows are of blue glass." --Percy E. Newberry, The Tomb of Iouiya and Touiyou. "The sledge and sarcophagus are both of a coarse grained wood covered with pitch and decorated with figures and hieroglyphic legends in stucco gilt. In shape, the sarcophagus is rectangular, with a lid in the form of a projecting curved cornice and top of the common Egyptian box shape. Like the sarcophagus of Yuya, the joints are mortice- and tenon-pinned." --Percy E. Newberry, The Tomb of Iouiya and Touiyou. Unlike her husband's, Tuyu's sarcophagus was built with an inner bottom floor. But the sledge runners on which it sits rest on wooden cross-beams. As in the case of Yuya's sarcophagus, the sledge-like appearance of Tuyu's sarcophagus is also purely symbolic. Made of wood coated with black pitch, the lid of this sarcophagus was designed to resemble that of a per-wer shrine of Upper Egypt. Ikram and Dodson note that the cornice of the sarcophagus forms part of its lid--a feature which, they point out, also appears in the granite sarcophagus of Akhenaten, the grandson of Yuya and Tuyu. Gilded figures of Isis and Nephthys with upraised arms kneel on nub-signs at the foot and head end of the sarcophagus respectively, and gilded representations of protective deities identified by Maspero as "the four gods of the West" (i.e., the Four Sons of Horus) line the sides. Tuyu's sarcophagus was also decorated on the inside, where the figures of Isis and Nephthys appear once more along with texts from various chapters of the Book of the Dead. When discovered, the lid and one of the side panels of this sarcophagus had been removed by ancient thieves in order to facilitate the ransacking of Tuyu's mummy. "The outer coffin...is made of wood carved and covered with stucco gilt. 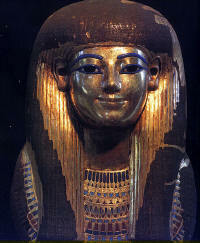 It is mummiform in shape, the wig is long and the hair is represented by bands of incised lines. The features of the face are very finely modeled. The eyes, eyelashes, and eyebrows are inlaid; the eyes are of white marble and obsidian, the eyelashes and eyebrows of opaque violet glass." The inner coffin is also of wood covered with stucco gilt. Newberry remarks that the "broad necklace is very elaborate, and consists of fifteen rows of conventional flowers and petals and drop shaped beads, which are inlaid in colored glass." --Percy E. Newberry, The Tomb of Iouiya and Touiyou. Photo Credits: Top photo from private collection. Probably color-tinted composite of photos from Davis's The Tomb of Iouiya and Touiyou (London, 1907.) 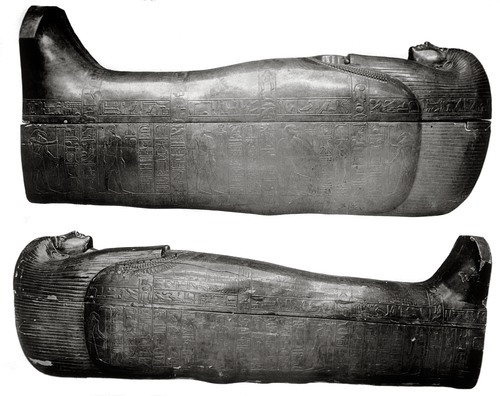 Inset photo showing outer and inner coffins from James Edward Quibell's The Tomb of Yuaa and Thuiu. Catalogue Général du Musée du Caire 51001-51191 (Cairo: IFAO, 1908), pl. IX. Painting at left showing close-up of Tuyu's outer coffin by William Max Miller, copyright 2003. Based on pl. XI of Quibell's The Tomb of Yuaa and Thuiu. "The mask is made of several layers of coarse linen glued together and coated with plaster. The inside is bitumened, the exterior is gilt. The wig is long, lined, and with bands at the ends; it is secured round the top of the head by a broad fillet composed of a band of lotus petals with a lotus flower and two buds on the forehead." --Percy E. Newberry, The Tomb of Iouiya and Touiyou. (Thames and Hudson, 1998,) pl. XVIII. Canopic chests of Yuya (left) and Tuyu (right). Both chests are made of wood coated with black pitch. 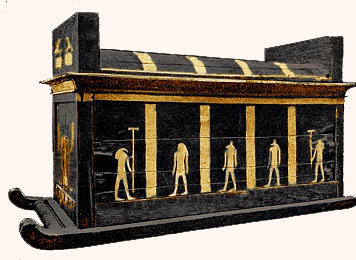 The inscriptional bands and representations of the gods are gilded, and the over-all decorative scheme closely resembles that employed on the sarcophagi shown above. Images of Isis and Nephthys appear on the fronts of the chests. The goddesses Neith and Selket adorn the back panels. 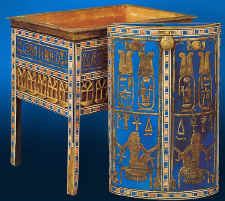 The sides of both chests are decorated with images of the Four Sons of Horus. The lids adopt the form of the per-wer shrine of Upper Egypt, and that on the chest of Tuyu is decorated with the double wedjet (representing the two eyes of Horus, i.e. the moon and the sun,) flanked by two recumbent figures of Anubis. Both chests contained four calcite canopic jars closed with human headed stoppers. These held the lungs, liver, stomach, and intestines of the deceased, which had been wrapped separately like miniature mummies and topped with small human-faced mummy masks. Tuyu's canopic jar and one of her mummified internal organs are depicted in the photo at right. Reeves notes that stylistic differences between the canopic jars of Yuya and Tuyu indicate that Yuya's had been made earlier, providing further evidence that he had predeceased his wife. (However, see his comments on Yuya's mummy mask, given above.) 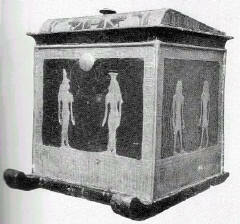 Lid (on left in photo) is from Yuya's canopic chest viewed from above. Photo Credit: Theodore M. Davis, The Tomb of Iouiya and Touiyou (London, 1907), pl.s X, XVI. 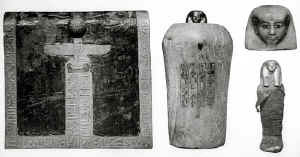 Inset photo showing the lid of Yuya's canopic chest and Tuyu's canopic jar with embalmed viscera from James Edward Quibell's The Tomb of Yuaa and Thuiu. Catalogue Général du Musée du Caire 51001-51191 (Cairo: IFAO, 1908), pl. XVI. Chest of inlaid wood decorated with gold, ebony, white and red-dyed ivory, and blue faience tiles. 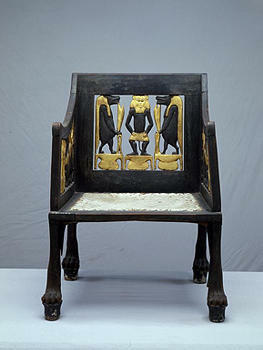 The sides are decorated at the bottom with gilded ankh, djed, and was symbols (for Life, Stability, and Power, respectively) set against a background of fine, stained red linen. The names of Tiye and Amenhotep III, the daughter and son-in-law of Yuya and Tuyu, appear on the sides. At right: the dual cartouches of Nebmaatre-Amenhotep III also appear on the lid of the box above gilded representations of Heh, (the god of "millions of years," i.e. eternity) kneeling on nub signs. Photo Credit: (Top photo) from Wonders of the Past (Wise & Co., 1937,) facing page 330. This resembles Howard Carter's painting in Davis's The Tomb of Iouiya and Touiyou (London, 1907) but is actually a color-tinted photograph. 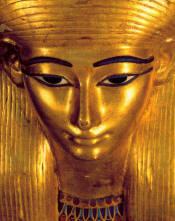 (Lower photo) from The Egyptian Museum of Antiquities website. 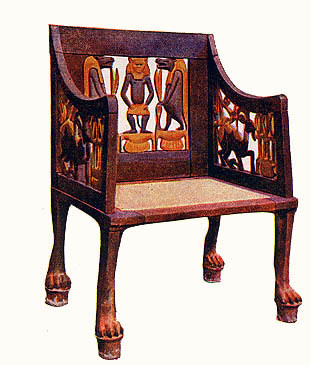 Lion footed chair with figures of Bes (the god of health) and Tauret (the goddess of childbirth) standing on nub-signs on the back panel. Photo Credits: (Top Right) Wonders of the Past (Wise & Co., 1937,) facing page 330. This resembles Howard Carter's painting in Davis's The Tomb of Iouiya and Touiyou (London, 1907) but is actually a color-tinted photograph. 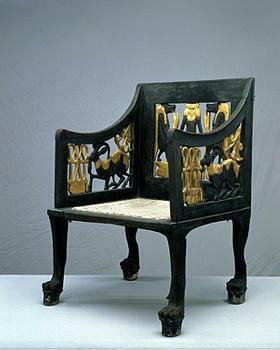 (Above) Three views of wooden openwork chair from the National Gallery of Art's Quest for Immortality website. 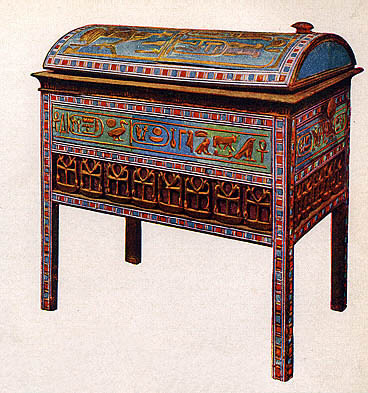 Another wooden coffer, bearing the name of Amenhotep III on the lid. It is decorated on the sides with the ankh, djed, and was symbols set against a backing of inlaid blue faience tiles. The top, made of two folding leaves, is decorated with two representations of the god Heh (the god of "millions of years," i.e. 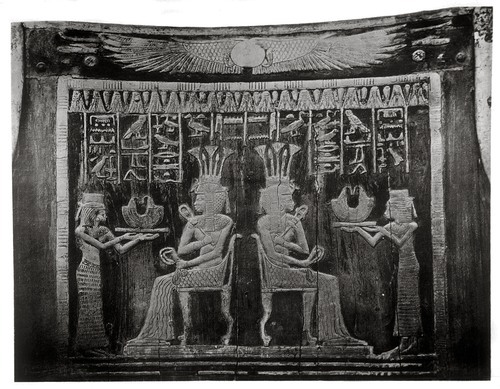 eternity) kneeling on nub-signs and bearing cartouches of Amenhotep III on their heads. Gilded wooden chair presented to Yuya and Tuyu by their granddaughter Sitamen, daughter/wife of Amenhotep III. 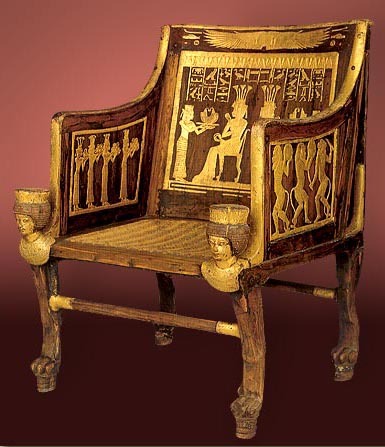 The modeled gesso and gilt decoration on the back panel of the chair consists of a winged sun disc with the place-name Edfu (capitol of the Horus nome of Upper Egypt, approximately 65 miles north of Aswan) on either side. 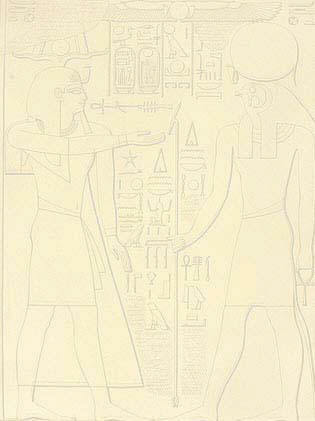 Below this appears a scene showing a dual image of Sitamen receiving gifts of gold necklaces from female servants. The accompanying inscription above the seated princess gives her name: "The eldest daughter of the king whom he loves, Sitamen." The text inscribed above the servants describes the offering of gold from "the lands of the south." herself. From Alexandre Herrero Pardo's Los Nobles de Egypto website (Los documentos Yuya y Tuya). (Right) From The Egyptian Museum of Antiquities website. Photo Credit: From the website of the Metropolitan Museum of Art. Photo Credit: Wonders of the Past (Wise & Co., 1937,) facing page 330. These resemble items from Howard Carter's painting in Davis's The Tomb of Iouiya and Touiyou (London, 1907) but are actually separate color-tinted photographs made into a composite. Since originally publishing this page, a number of other good image resources that photographically document the objects from KV 46 have become available on Flickr. A Flickr member named "yacielcruz" provides an extensive series of beautiful color photos of the Yuya and Tuyu objects as they are exhibited in the Egyptian Museum in Cairo. You may view this photo stream by clicking here. Also, if you have a QuickTime player, Chris Couvee presents an interactive panorama of the second floor of The Egyptian Museum of Antiquities which features some of the objects from the Tomb of Yuya and Tuyu.